Welcome to the world of Current Affairs 2017. 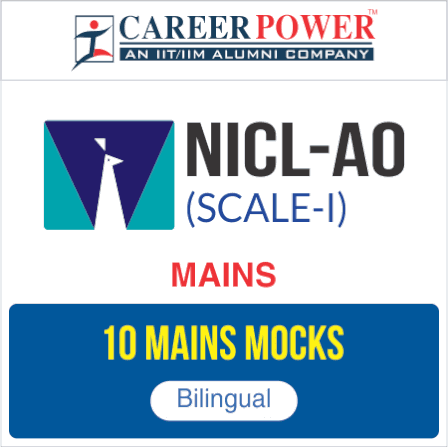 With NICL AO Mains Exam round the corner, it should be your priority to cover every aspect of Current Affairs on a daily basis for NICL AO Mains Exam so that you can do well in the exam. These current affairs are based on current news. Let us see how many questions you attempt accurately. Q1. Roger Federer has recently clinched his ninth Halle Open title in Germany. He won the tournament after beating ___________________. Sol. Swiss legend Roger Federer has clinched his ninth Halle Open title after beating Alexander Zverev 6-1, 6-3 in the final. The top seed Roger Federer showed no mercy with fourth seed Alexander Zverev after wrapping up his ninth title in his 11th Halle final. Q2. Which of the following tech-Giant has been fined 2.42 billion euros by the European Commission in an antitrust case? Sol. Google has been fined 2.42 billion euros ($2.7 Billion) by the European Commission after it ruled the company had abused its power by promoting its own shopping comparison service at the top of search results. It is the biggest fine the EU has ever imposed on a single company in an antitrust case, exceeding a 1.06-billion-euro sanction handed down to U.S. chipmaker Intel in 2009. Q3. Name the Prime Minister of Romania who has been recently appointed by President Klaus Iohannis. Sol. Romanian President Klaus Iohannis appointed Social Democrat Mihai Tudose as the Prime Minister and mandated him to form a new government. Mihai Tudose, the outgoing economy minister of Romania, has been appointed as prime minister, days after the ruling Social Democrat Party (PSD) removed its own government following an internal power row. Q4. Equipped with multiple phone lines and computer systems and manned by tech-savvy youngsters, a “war room” has been set up to deal with crises related to the ______________________. Sol. Equipped with multiple phone lines and computer systems and manned by tech-savvy youngsters, a “mini war room” has been set up in the finance ministry to deal with crises related to the implementation of GST. Q5. 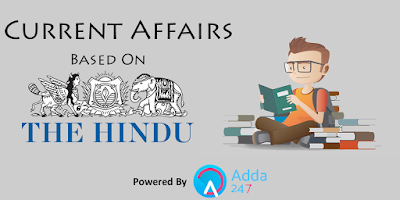 Which of the following state government has recently signed an agreement with Asian Development Bank (ADB) for a loan of 1950 crore rupees for strengthening of roads in different district? Sol. Uttar Pradesh Government has signed an agreement with Asian Development Bank (ADB) for a loan of 1950 crore rupees for strengthening of roads in different district. The agreement was signed at Lucknow in the presence of Chief Minister Yogi Adityanath and ADB President Takehiko Nakao. Q6. ADB is headquartered in ____________. Q7. The Indian shooting squad has finished a creditable second at the ISSF Junior World Championship. The Championship was held in _________________. Sol. The Indian shooting squad has finished a creditable second at the ISSF Junior World Championship with three gold, two silver and three bronze medals in Suhl, Germany. India picked up a gold and silver in the team and individual sections of the 25m pistol junior men’s event. Q8. Name the Bollywood Personality who has been appointed as the ambassador for government’s flagship Skill India campaign, with the National Skill Development Corporation. Sol. Actress Priyanka Chopra has been appointed as the ambassador for government’s flagship Skill India campaign, with the National Skill Development Corporation. Q9. MSME Ministry has launched the Digital MSME Scheme and also exchanged three MoUs with SAP India, Intel and HMT. The United Nations has recently declared __________ as the UN Day for MSMEs. Sol. MSME Ministry has launched the Digital MSME Scheme and also exchanged three MoUs with SAP India, Intel and HMT. The United Nations has recently declared 27th June as the UN Day for MSMEs. Q10. Who is the present Minister of Micro, Small and Medium Enterprises (MSME)? Sol. Mr. Kalraj Mishra is the Minister of Micro, Small and Medium Enterprises (MSME).